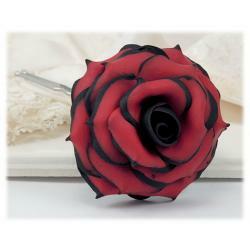 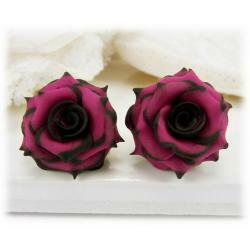 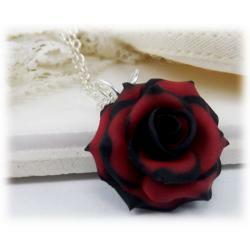 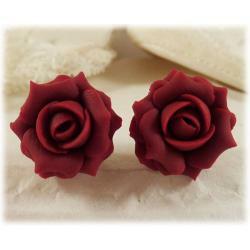 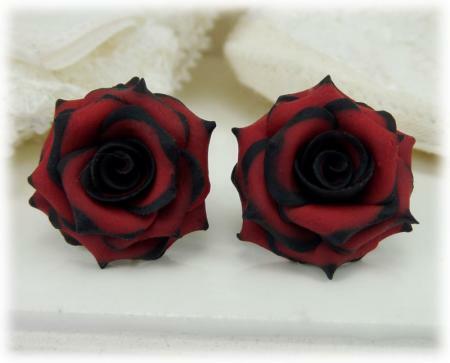 Red with black tips rose stud earrings hand sculpted and available in several sizes. 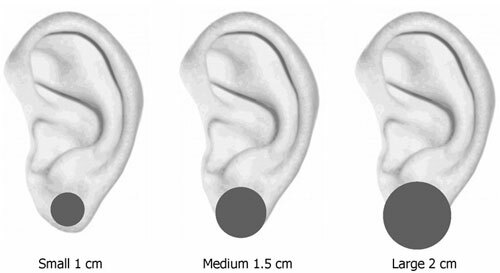 Choose 304 stainless steel, 925 sterling silver, or 14k gold filled posts or on metal clip ons. 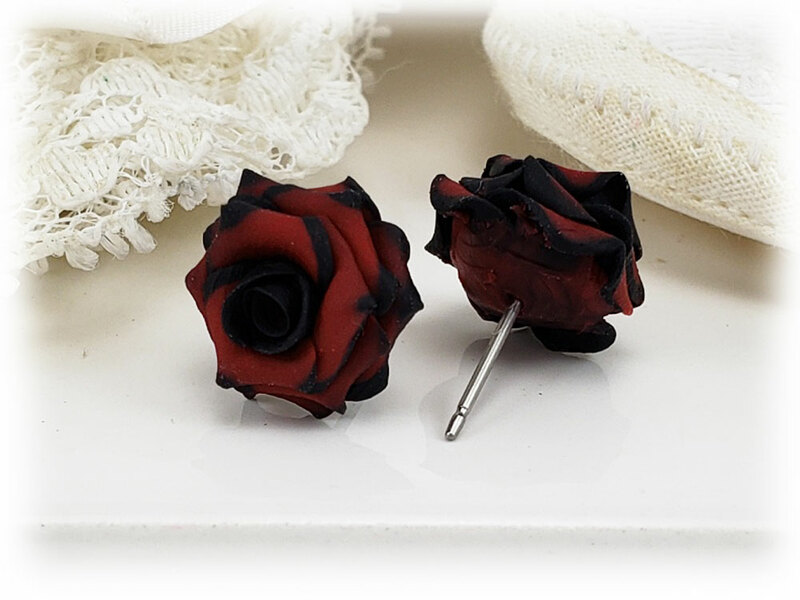 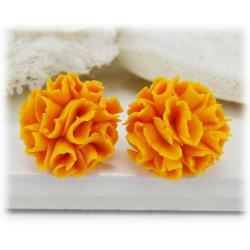 for non-pierced ears. 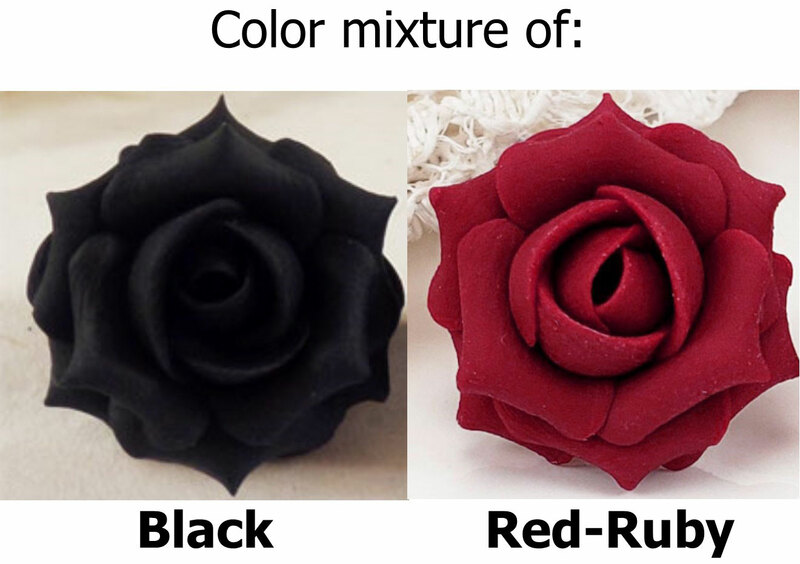 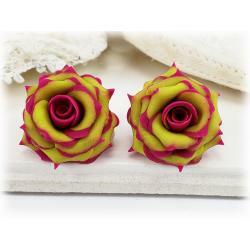 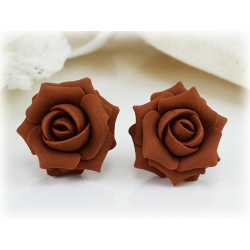 Each petal is formed by hand and blended for this unique style rose earring.